We have some very exciting news in our office! 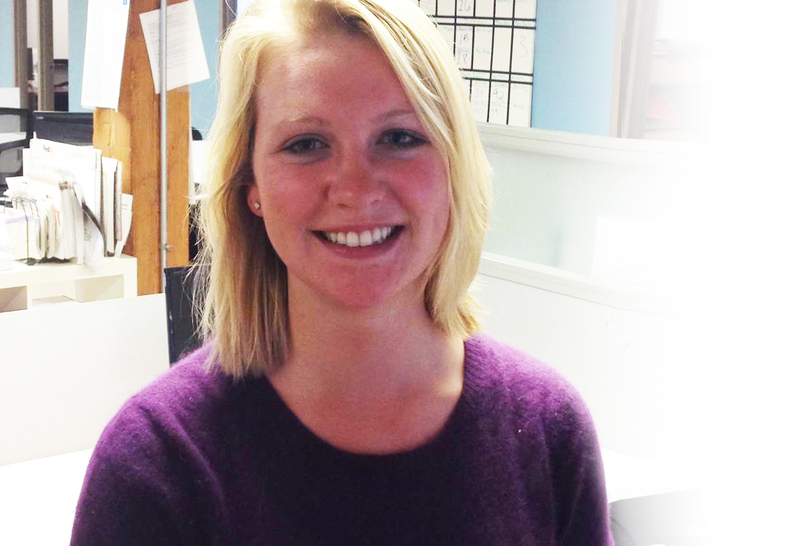 One of our very own employees has been nominated as a Massachusetts Association of Insurance Agents 2014 CSR Star! Christine Rojcewicz, or Chrissy as she is known around the office and to customers, started at MassDrive in July of 2013, and came to us with no experience whatsoever. Since then, she has quickly learned the ropes and become an invaluable part of our team! She handles every phone call with professionalism and grace, and always remains calm no matter what situations arises. We wanted to take a few minutes to chat with Chrissy and find out a little more about her and her job as a CSR rep.
My favorite thing about my job is the customers. I love to help others, and being a customer service rep is all about helping others! I really enjoy working together with our customers to find the best solution to any problem, no matter how complicated. I love a challenge! The hardest part of my job, particularly my role as a retention specialist, is explaining tough rate increases to customers. I place great importance in being certain that the insured truly understands their coverages and any reasons for premium changes. Often, the cause of the rate increase is ambiguous, but I always try my best to clarify the specific reasons for the increase, or decrease, not just quote a price without an explanation. Insurance rates are not black and white, and it is important to me that the insured is comfortable with the insurance they are receiving and the reasons for the cost. What do you think it takes to be a good customer service rep? To be a good customer service rep, one needs to have patience and perseverance. This job is not easy, but it has the potential for fulfillment and forming great relationships. It takes a lot of patience and humility to remain calm and cooperate with a difficult customer, but when the experience is positive for the insured, it is positive for me as well! The feeling I get after finishing a particularly successful call is very rewarding. What’s the key to dealing with an angry customer? Dealing with angry or upset customers can be very difficult, but the key is to empathize. I try my best to put myself in the customer’s shoes and see the situation from his or her point of view. Often, when I do so, the reason for the customer’s frustration and anger becomes apparent, and I can better assist them. What do you wish all of your customers knew? I wish all my customers knew how difficult being an insurance customer service representative can be, and I wish they knew just how far a simple “thank you” really does go. My coworkers and I love nothing more than to share with each other when insureds are grateful and provide positive feedback. Often, a little appreciation can turn my whole day around! In addition to answering phone calls, keeping up with paperwork, and so much more, Chrissy also implements our Renewal Readiness Program™, which monitors our customer’s policies that are about to renew, and will re-quote them if there is a significant increase in price. She always goes above and beyond to make sure our customers have the most pleasant experience possible, so we’re wishing her the best of luck in this contest, no one deserves it more than she does! Furry Friend Friday With Bosco! Congrats, thanks for all ur help and professionalism with resolving my car insurance issues! Thank you, James, for sharing!